This show was Amazing!!!!! And I would so see it over and over again!!!! You simply must see The Lion King. 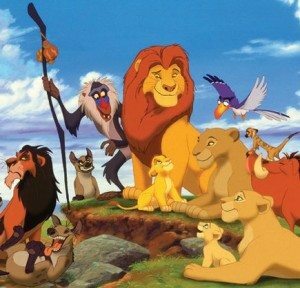 Lion King was totally captivating and enjoyed by our whole family. Seen by over 80 million people, Disney’s landmark musical event THE LION KING is now playing at the Regent Theatre, Melbourne for a strictly limited season and is coming to Perth’s Crown Theatre in November. Brilliantly re-imagined by acclaimed director Julie Taymor, Disney’s beloved film is transformed into a spectacular theatrical experience that will redefine your expectations of theatre. The story line closely follows the 1994 animated film. A young lion price is tricked by his uncle into thinking that he caused the death of his father. He flees the pride and abandons his destiny as the future King. He lives beyond the savannah with two quirky friends who live by the motto “no worries for the rest of your days”. As in every good story line the past comes back to haunt him and the prince must decide if he will he remain an outcast or face his demons and claim what’s rightfully his ~ The Kingdom. Crowne Plaza Perth is located a 5 minute drive from Crown Theatre making it the perfect location to treat yourself to a night of entertainment and affordable city accommodation. Book a river view room and enjoy a beverage on your balcony taking in panoramic views of The Swan River and you may be lucky to catch the sun set. Pop downstairs for pre-event drinks, bar bites or maybe enjoy a la carte dinner at Gusti Restaurant before heading over to Crown Theatre. Our concierge team can organise a taxi or let you know the best place to park if you are driving. Hit the Book Now to be taken to our reservations page and find the latest offers. Take the Quiz: Which Lion King Character are you? Buzz feed have developed a quiz to help you REMEMBER WHO YOU ARE…. In a series of completely unrelated and a little naive questions (like who is your Disney BBF) they can determine what character you would play in the movie. It’s just a bit of fun and interesting to see who you turn out to be. ~Are you a natural leader, wise and strong? ~Are you intelligent, stubborn, and stand up for what you believe in? ~Are you kind, caring, and funny individual. Although you can be self-conscious? ~Are you a loving and motherly individual?